As a style and travel blogger, I love exploring the world while staying fashionable at the same time. I find figuring out what to wear on a trip is just as important as making an itinerary. In my last post, I shared a city I missed. Today, I have put together a collage of items I would pack with me for a weekend getaway to a city I would love to visit -- Milan! 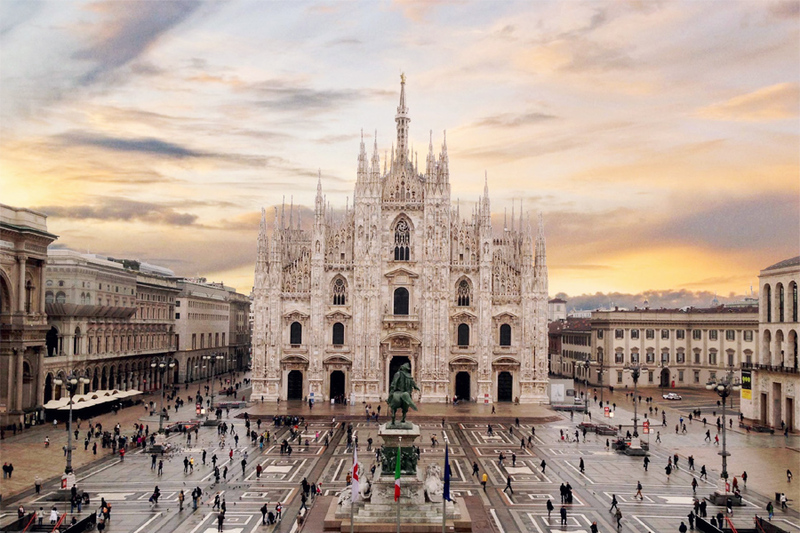 Milan is a highly populated city in Italy and is considered one of the fashion capitals in the world. It also does not fall short in its attractions as it is home to many Gothic cathedrals, art and shopping galleries, and more. 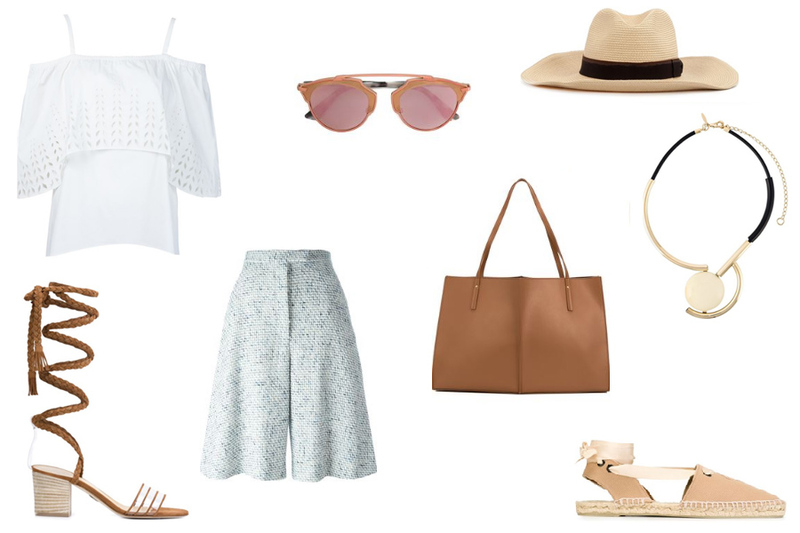 The Farfetch Style Hub: What to Pack page has some wonderful outfit ideas, now here is mine! This first outfit is for that sunny, peaceful day outdoors on a patio with a beautiful view while having a delicious brunch with friends or loved ones. It is a great way to start off the day feeling refreshed after a long flight the day before. After brunch, head to the Teatro alla Scala, which is the grand opera house for Italian classics. These romantic pieces will fit right in with the beauty of Milan from this gorgeous silk dress to the vintage designer bag. Staying stylish is key as Milan is known for its fashion and design industry. The time to take on adventures is now! Wear a light top with shorts to remain cool in the heat as the weather remains relatively warm for half the year. Then choose a pair of comfortable espadrilles because you will be doing a lot of walking, but if you are daring enough, feel free to wear a nice pair of heeled sandals. Some recommended places to visit are the Gotic Cathedrals, Galleria Vittorio Emanuele II for some designer shopping, the art museum Pinacoteca di Brera, and the Navigli Grande canal. Lover of beaches? Milan is just a few hours away from the coast shoreline. Wear your cutest swimwear such as this striped high-waisted bikini, kick on a pair of sling back sandals, and top it off with a woven hat. A large tote bag will make it easy to pack some sunscreen, a towel, a book, and snacks. Otherwise, dip in the pool pool at your hotel and soak in the sun! End your trip with a memorable night out. The nightlife in Milan is lively and bountiful, but you must dress to impress. Find a couple of the most popular clubs and bars at Lombardy. This maxi dress is sure to stun anyone or everyone. 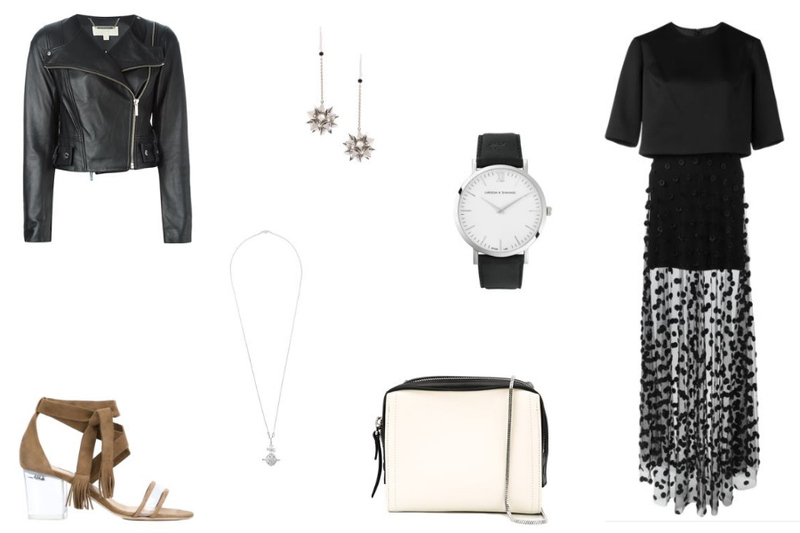 Give it an edge with a cropped leather jacket with acessories that are minimal yet chic. Such a great selection! Perfect! The 'tourist day' outfit has to be my favorite!